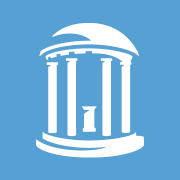 The University of North Carolina at Chapel Hill, the nation’s first public university, is known around the world for innovative teaching and research. Regularly ranked as the nation’s best value for academic quality, UNC has produced the most Rhodes Scholars for the past 25 years among U.S. public research universities. Nanotechnology: A Maker’s Course via Coursera 8 weeks long 8 weeks long 29th Apr, 2019 No reviews yet.